Ref provides powerful auto-suggest and @mentioning for your inbox when you are composing and replying to messages. Reference entities, people, tasks and more with the type of a character! 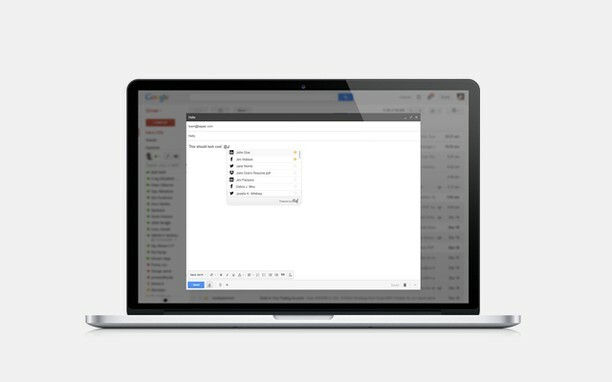 Simply sign into Ref from within Gmail in your browser after installing. Then, connect a few 3rd party services when prompted. After you’re done, watch the magic by opening a new compose window and typing “@” and a few characters to see a list of discovered entities based on these services. When users get your message, they get hyperlinks directly to the entities you reference! Have ideas? We’d love to hear from you - join us at https://refapp.uservoice.com/ with any suggestions you may have!